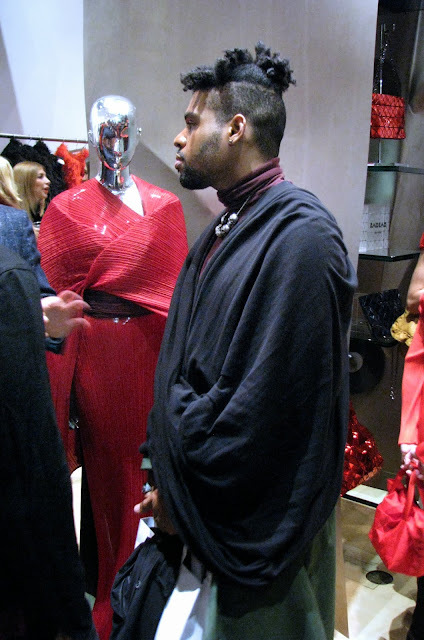 While I was in New York the Idiosyncratic Fashionistas received an invitation to a party at the Tribeca Issey Miyake store to showcase the Autumn/Winter 2013 collection. They generously included me in the RSVP. 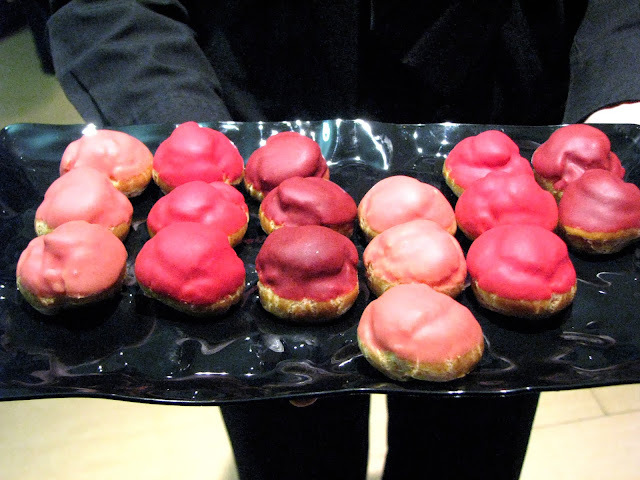 The theme was "Hues of Red" and guests were encouraged to wear red (my favourite power colour!) 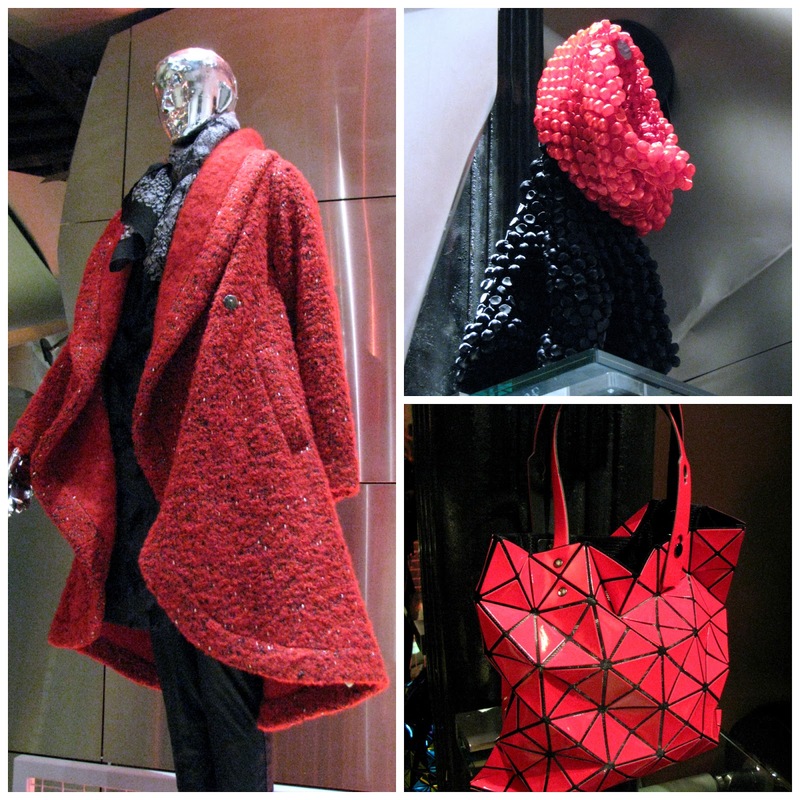 while they shopped, enjoyed "red" themed cocktails, and mingled with fellow Miyake fans, with music by DJ Keiichiro of 24 Hour Party People. 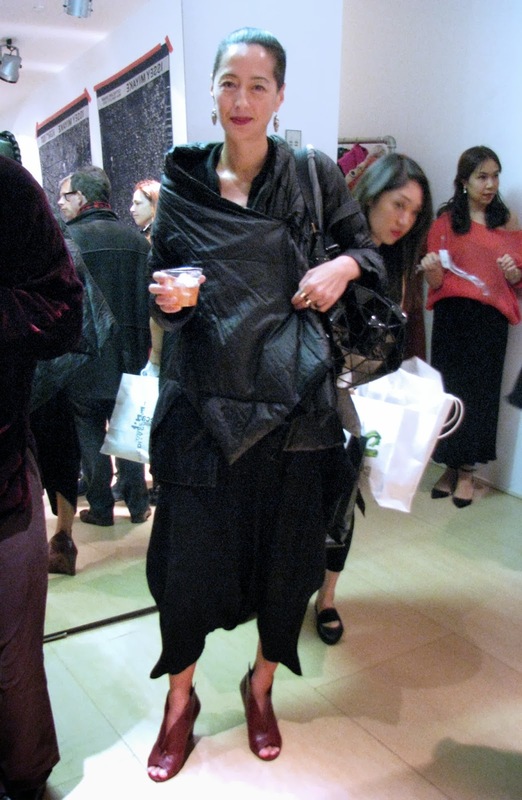 I happen to love Miyake's designs, so it was a treat to be able to see them up close, and attend a real New York fashion party. Many of the guests were wearing clothing from the designer's previous collections. 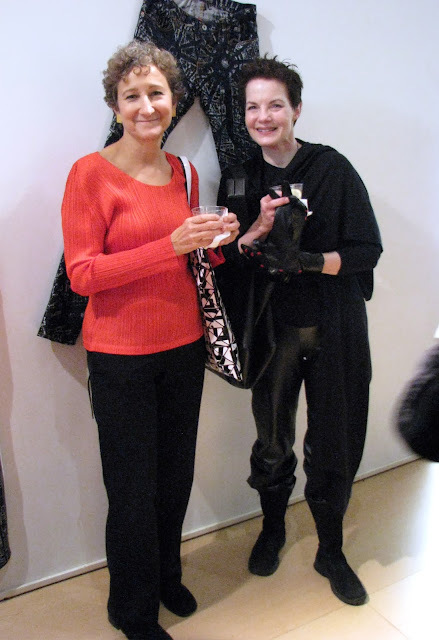 Unfortunately, Valerie was late getting to the party, so for a while, Jean and I were left to our own devices. 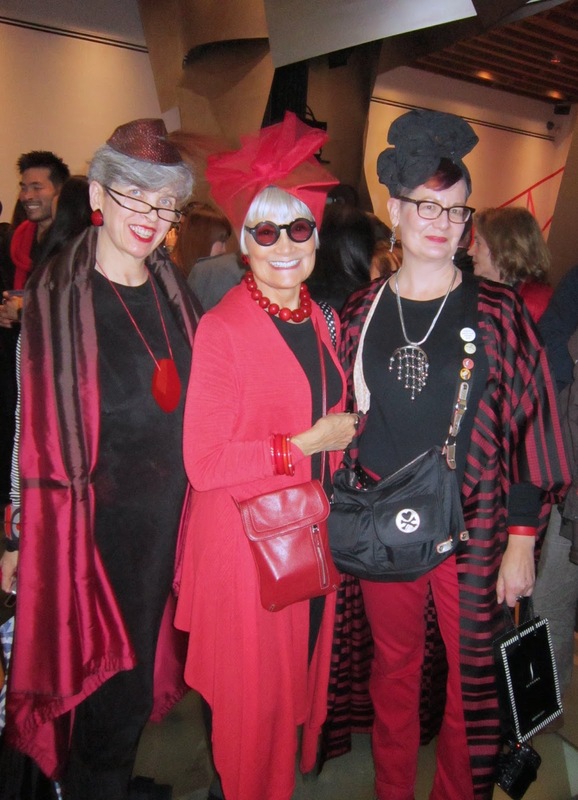 As you can see, we did pay attention to the dress code and wore our best red (and black, of course..) I had purchased the silk Japanese coat from Miyamoto Antiques at the Manhattan Vintage Clothing show that afternoon. It was priced under $50 and was the perfect thing for the event. 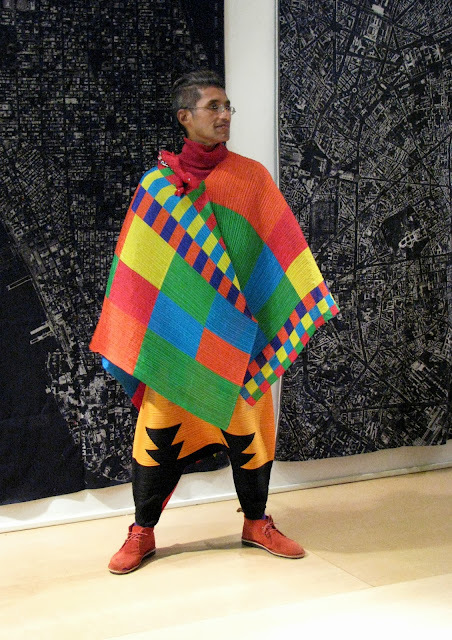 Henry Pierre was definitely the most colourful person there, in head-to-toe Issey Miyake and a stuffed red dragon on his shoulder. The one wall of the store was decorated with large aerial photographs of Manhattan, printed onto black fabric. We were thinking how amazing one of those would look on our respective living room walls. If I could have chosen one item to take home from the store it would have been this dress. This man is wearing a Miyake top from the A-POC line, which is based on a manufacturing method that uses computer technology to create clothing from a single piece of thread in a single process. 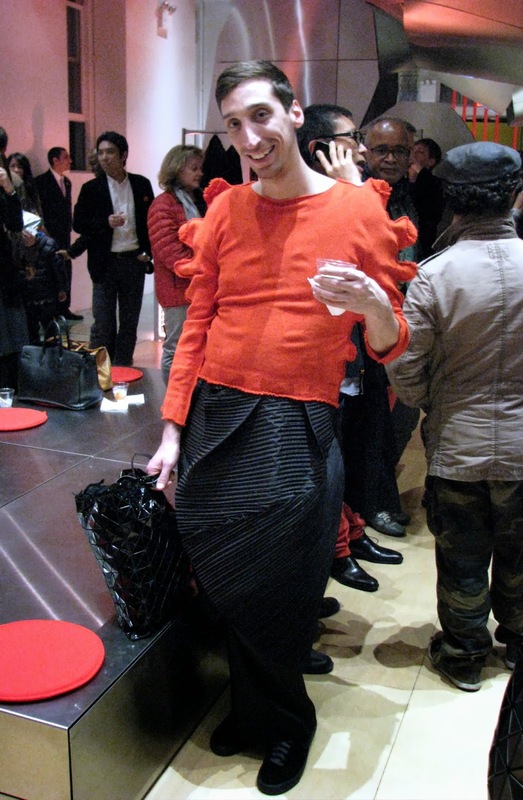 He is also wearing a Miyake pleated coat as a skirt. 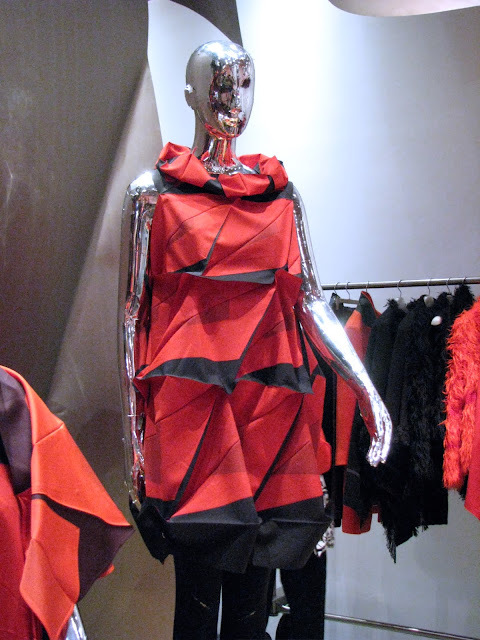 Miyake is best known for his pleated designs. His experimentation in the 1980's with new ways of pleating led to garment pleating, in which the garments are cut and sewn first, and then sandwiched between layers of paper and fed into a heat press, where they are "pleated". The fabric's memory holds the pleats. Andrew Chen, the wholesale account executive and e-commerce strategist for Issey Miyake, poses for a photo with Jean. 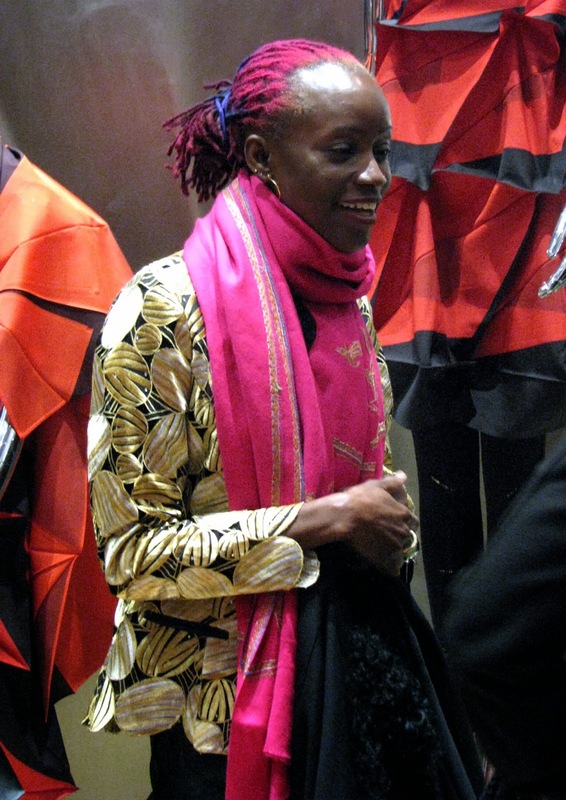 Some of the guests chose not to incorporate the colour of the evening into their outfit, but when you look as cool as this woman in her Miyake ensemble, who cares? 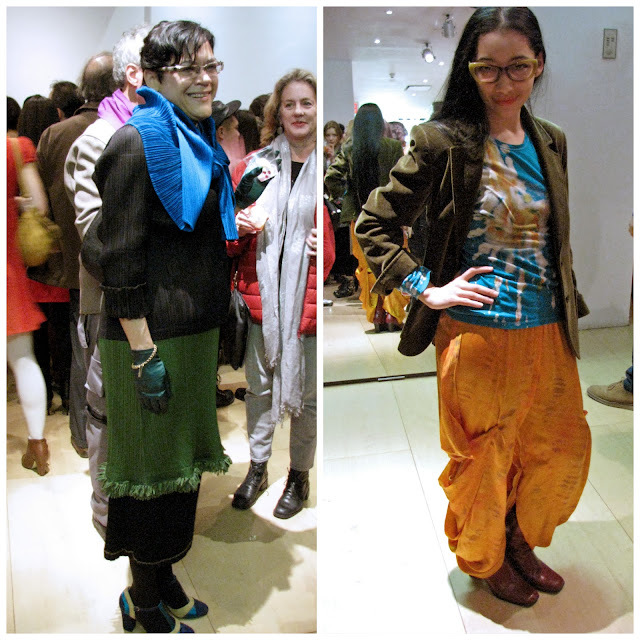 Two more women who chose their own preferred colour scheme for the evening - the woman on the left is wearing Miyake's signature pleats from head to toe, including a top worn as a scarf; the woman on the right made the clothing she was wearing and had the funkiest glasses. I had been admiring Davey Mitchell's outfit all evening, so I asked him to pose for a photo. This is the view of the back of Davey's coat. 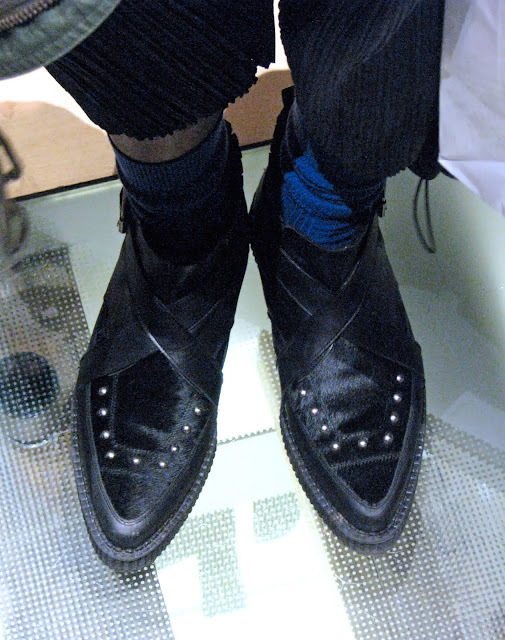 I ran into Davey again at the Manhattan Vintage Clothing show on Saturday where he was wearing yet another fabulous outfit. Valerie arrived and we were a trio once more! Thanks to the IF's for the photo as I didn't have any of the three of us from the evening. 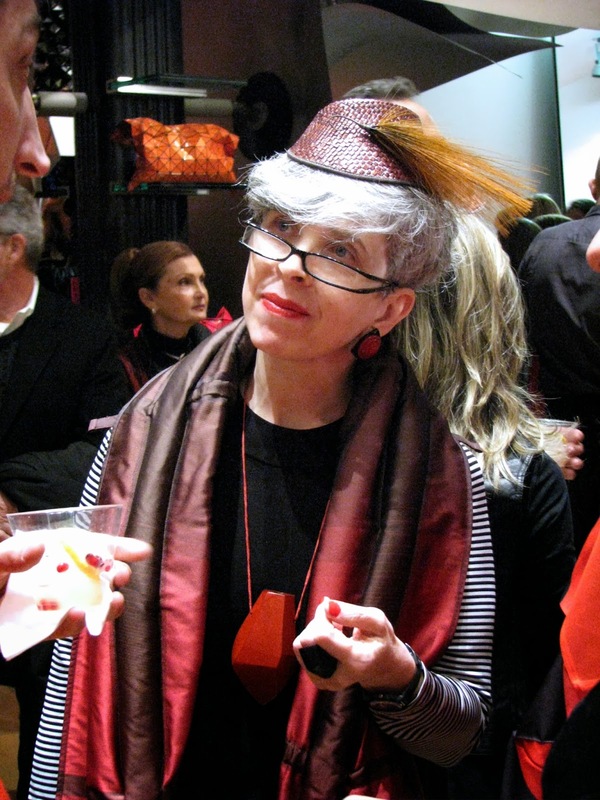 Valerie was wearing one of her many wonderful hats and a statement necklace in the evening's signature colour. I managed to catch a shot of her "listening intently" face. 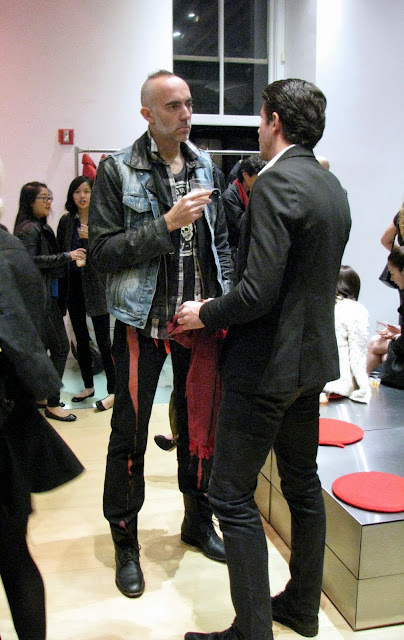 I loved the juxtaposition of the outfits worn by these two friends. The man on the left is fashion photographer Alexo Wandael, who must have been at least 6'3" (unfortunately, I did not get the name of the other man). Jean later took an excellent photo of me with Wandael and his friend which appears in the IF's blog post about the party, and I look very pleased with myself to be sandwiched between two very attractive men. 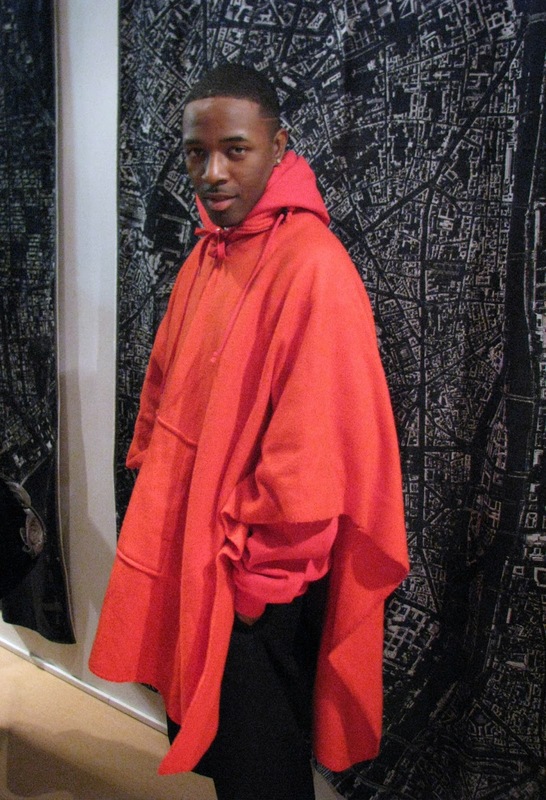 I referred to this man as "the cozy guy" all night as he was wearing a fleece poncho that made me want to snuggle up to him every time I ran into him (and I did). I had a long and very interesting conversation with these two women from Philadelphia. 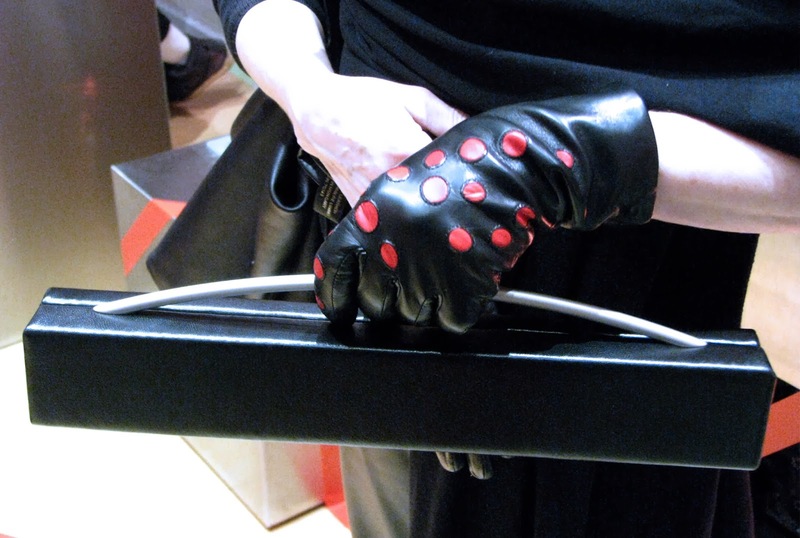 The woman on the right in the previous photo had the most wonderful accessories - her sleekly minimalist handbag looked like a case for a recorder or a flute, and I loved the polka dot gloves! The party broke up shortly after 9 pm when security started herding us towards the doors, so the three of us went for a bite and a cocktail at Kittichai, the fabulous Thai restaurant at the SoHo Thompson Hotel. I felt like I'd had a "Cinderella Goes to the Ball" kind of evening, except that I still had both my shoes. Hi, doll! Reading your posting brings it all back to me like it was yesterday. Valerie & I just LOVED having you in NYC to run around with and are looking forward to your next bite at the Big Apple! You looked divine. That kimono was to die for. And Valerie chimes in: these pictures are great! You have a wonderful eye for detail, and managed to cordon off your subjects and get really good shots! Wow what an amazing evening. Your trip to NYC sounds like it was filled to the brim with celebrity sightings and smoozing with the upper echelon. I love all the pictures! I remember when Miyake first hit big in the 80s and how cool and different his clothing was. You all look gorgeous! Wow, your blogs just get better and better. And you've been Billed! You've made it to the fashion pages, darling - you're a STAR! How exciting, to mingle with the well-dressed crowd. You look amazing in your red and black ensemble, the coat is a beautiful piece. Jean and Valerie look fabulous, and I am chuckling at the thought of you sandwiched between those two handsome men - if only for the purposes of a photo, ahem...! 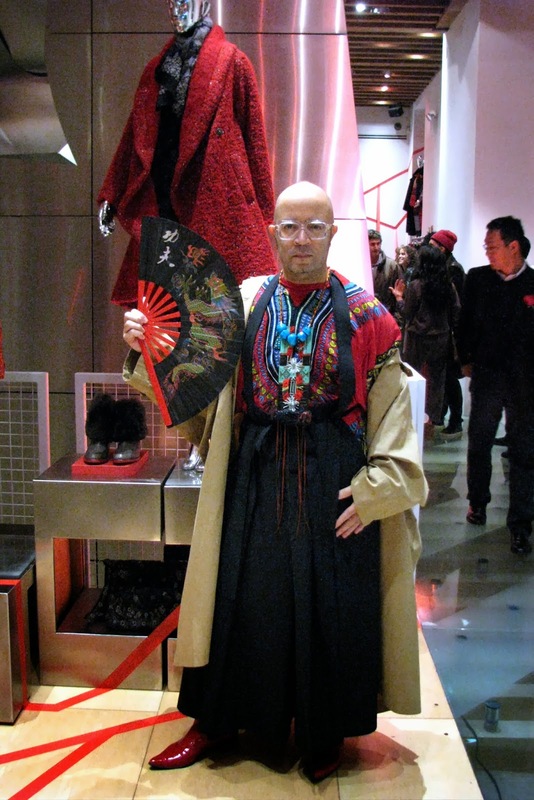 Love the red Miyake coat and bag on sale, I could find wardrobe space for those, I think! You and your friends look so. utterly. fabulous. Can I be like you when I grow up? Thank you for your lovely compliment! I think you should aim to be the best possible "you" when you grow up, but I'm happy we have inspired you to dress up and have fun. 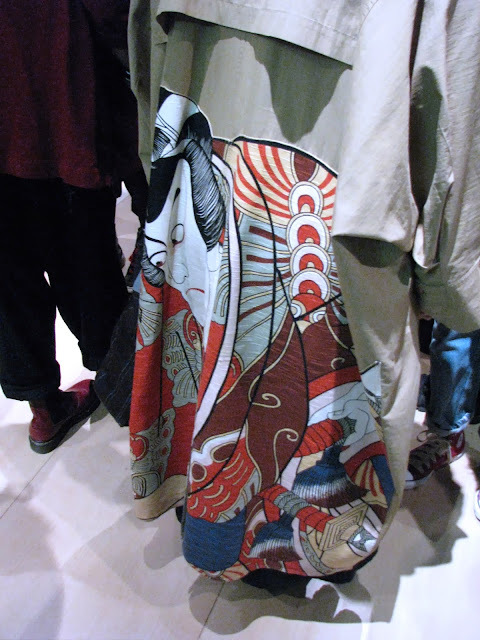 Love the artsy outfits, especially the Japanese-inspired print. Plus you made in the press, how cool is that! 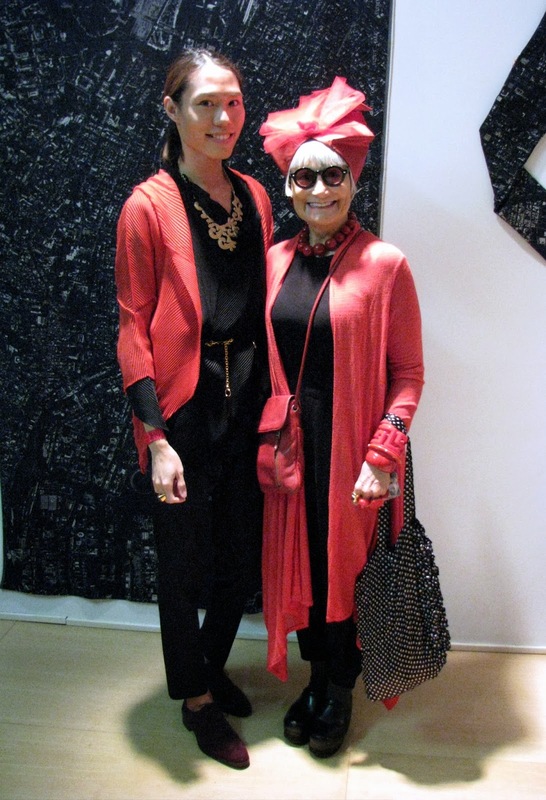 oh, dear lady, you've taken the city by storm!, so much fabulousness in Red! !, so amazing people and delightful designs and pleated fabrics! 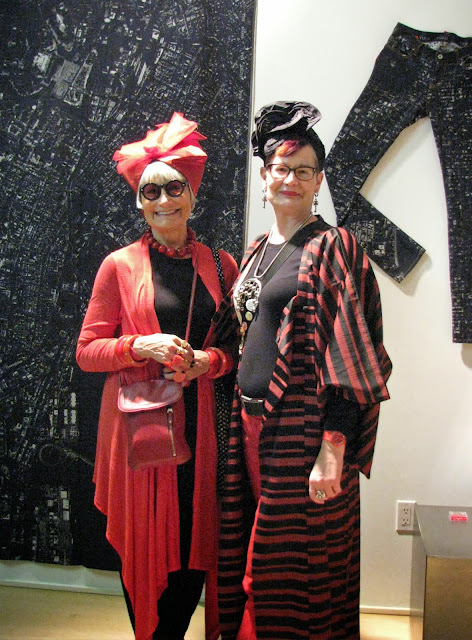 !, wouuuu, and you look so gorgeous, love your striped silk coat!, and Idiosyncratic Fashionistas are Rock Stars, love their styles and they look so charming ladies!! A thrilling post! I felt like I was there, enjoying the event with you. You and the IF's look magnificent, as do all of the gorgeous people that you photographed. 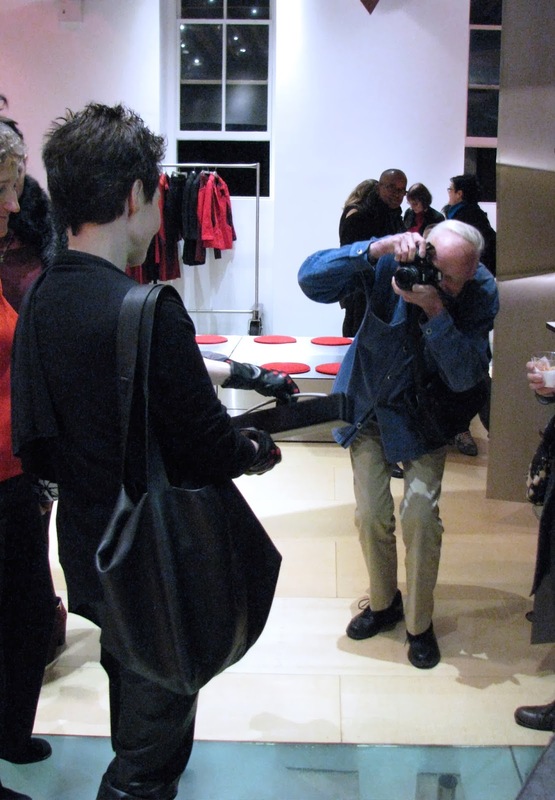 Congratulations on the Bill Cunningham column appearance. You are now officially a celebrity!